The Tea Drinking English Rose: For You. Because sometimes you just need reminding. Today's post is dedicated to my bestest Suz. She is pretty darn wonderful and I wish to spend forever with her. I read that quote from SATC 'Maybe our girlfriends are our SOULMATES and guys are just people to have fun with.' and I could not agree more. 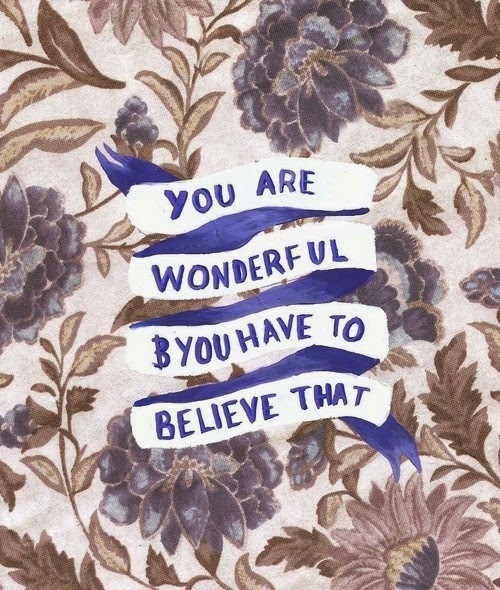 So this lovely quote is for her... because she IS wonderful and she DOES have to believe that. This is such a sweet post! I'm constantly talking to my bestfriend even though she currently lives in Austria! This is lovely and I know just the right person to give this too :) thanks for the idea.